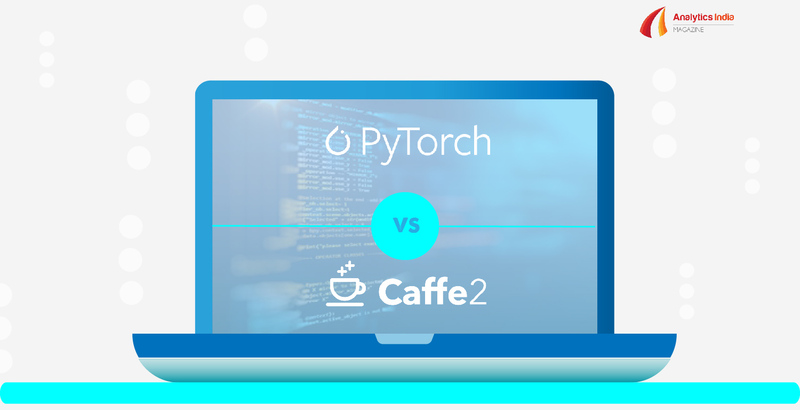 PyTorch Vs Caffe2: Which Machine Learning Framework Should You Use For Your Next Project? Menlo Park-headquartered Facebook’s open source machine learning frameworks PyTorch and Caffe2 — the common building blocks for deep learning applications. The lightweight frameworks are increasingly used for development for both research and building AI products. Released in October 2016, PyTorch has more advantages over Caffe and other machine learning frameworks and is known to be more developer friendly. Essentially, a deep learning framework is described as a stack of multiple libraries and technologies functioning at different abstraction layers. The last few years have seen more components of being of Caffe2 and PyTorch being shared, in the case of Gloo, NNPACK. What Did Caffe2 Merging With PyTorch Do? Facebook wanted to merge the two frameworks for a long time as was evident in the announcement of Facebook with Microsoft of their Open Neural Network Exchange (ONNX) — an open source project that helps to convert models between frameworks. The native library and Python extensions are available as separate install options just as before. All cross-compilation build modes and support for platforms of Caffe2 are still intact and the support for both on various platforms is also still there. Caffe2’s graph construction APIs like brew and core.Net continue to work. Earlier this year, open source machine learning frameworks PyTorch and Caffe2 merged. Caffe2 had posted in its Github page introductory readme document saying in a bold link: “Source code now lives in the PyTorch repository.” According to Caffe2 creator Yangqing Jia, the merger implies a seamless experience and minimal overhead for Python users and the luxury of extending the functionality of the two platforms. Both the machine learning frameworks are designed to be used for different goals. PyTorch released in October 2016 is a very popular choice for machine learning enthusiasts. Caffe2, which was released in April 2017, is more like a newbie but is also popularly gaining attention among the machine learning devotees. Application: Caffe2 is mainly meant for the purpose of production. It is meant for applications involving large-scale image classification and object detection. It is mainly focused on scalable systems and cross-platform support. Whereas PyTorch is designed for research and is focused on research flexibility with a truly Pythonic interface. 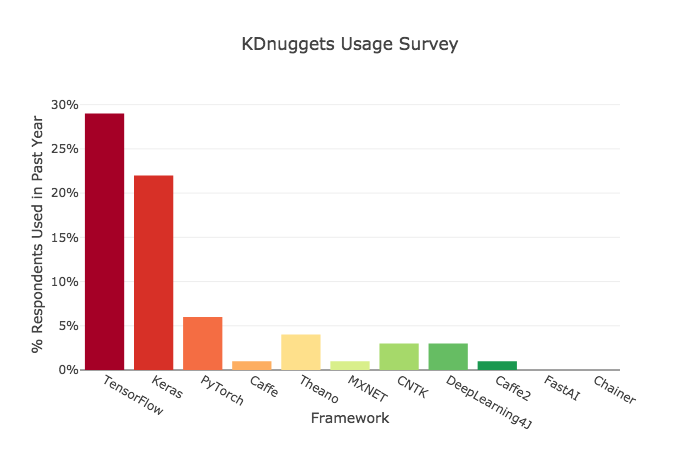 Model deployment: Caffe2 is more developer-friendly than PyTorch for model deployment on iOS, Android, Tegra and Raspberry Pi platforms. It was developed with a view of making it developer-friendly. Deployment models is not a complicated task in Python either and there is no huge divide between the two, but Caffe2 wins by a small margin. Moreover, a lot of networks written in PyTorch can be deployed in Caffe2. The ways to deploy models in PyTorch is by first converting the saved model into a format understood by Caffe2, or to ONNX. Caffe2 is superior in deploying because it can run on any platform once coded. It can be deployed in mobile, which is appeals to the wider developer community and it’s said to be much faster than any other implementation. Flexible: PyTorch is much more flexible compared to Caffe2. Flexibility in terms of the fact that it can be used like TensorFlow or Keras can do what they can’t because of its dynamic nature. A lot of experimentation like debugging, parameter and model changes are involved in research. 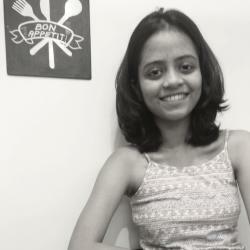 PyTorch is best suited for it and hence fulfils its purpose of being made for the purpose of research. Caffe2 is optimized for applications of production purpose, like mobile integrations. It was built with an intention of having easy updates, being developer-friendly and be able to run models on low powered devices. PyTorch is excellent with research, whereas Caffe2 does not do well for research applications. Broadly speaking, if you are looking for production options, Caffe2 would suit you. But if your work is engaged in research, PyTorch will be the best for you. For beginners both the open source platforms are recommended since coding in both the frameworks is not complex. Although made to meet different needs, both PyTorch and Cafee2 have their own reasons to exist in the domain.